Back when the competition was announced for the former Pruitt-Igoe site, many thoughts came to mind. First off, the current forest that exists could use some nature trails and an obervatory. Your typical state park. After my visit yesterday to Schaumburg Illinois in the Chicago area, my feelings changed. 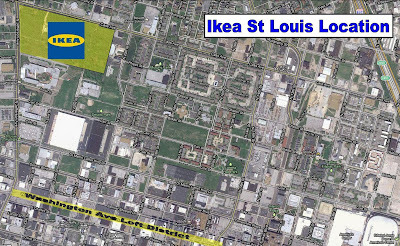 With its proximity to the loft district, and several other areas that could use a good design & accessory store, St Louis should work as hard at luring Ikea as they are working on Aerotropolis. Since the organizers of the design competition have already stated that they are in no position to make any decisions about the use of the land, and are just trying to stimulate discussion, the practicality and logistics of this award winning design aren't relevant. 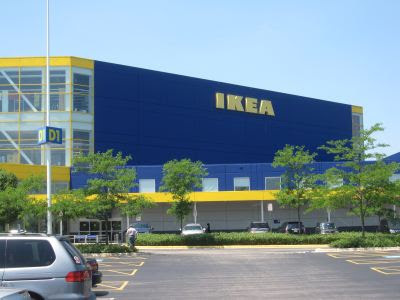 My decision is made up, they just want the best Ikea.